Have your questions answered by our many members located in Luxembourg! As one of the smallest countries in Europe, with a population of just over half a million people, you would think Luxembourg would be limited in what they have to show off to the rest of the world. Luxembourg is ranked 170th in size of all the 194 independent countries of the world, however has a surprisingly large amount to do and see for those looking to possibly move here. Luxembourg is a trilingual country, with French, German and Luxembourgish spoken throughout the small nation. What’s interesting about the language culture here is that each language appears to be used in different contexts. For example, the people of Luxembourg’s mother tongue is Luxembourgish and is spoken commonly to each other, however the majority of official work related business is carried out through French, and at the same time, German is the 1st language children learn in school and is seen and heard everyday throughout the country’s different modes of media. It is divided into two main regions; the Oesling which is part of the Ardennes situated in the northern part of the country, which is covered with beautiful highlands, lakes, mountains and rivers. The Gutland represents the southern half of Luxembourg, which is where the majority of the population live and work, and contains fascinating ancient castles and medieval style housing, along with more modern shops and cafes. The cuisine in Luxembourg is a unique blend of French and German style dishes combined. 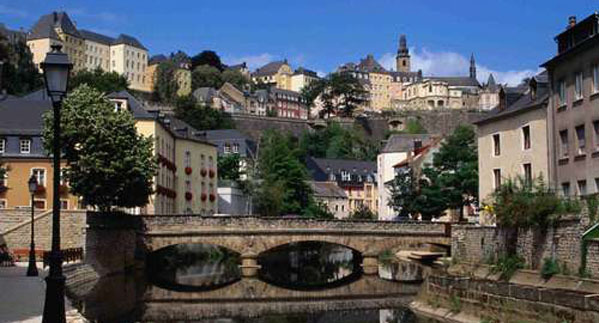 Luxembourg also prides themselves with their vineyards where a lot of popular wine is produced. We have thousands of local members waiting to answer your questions on living and working in Luxembourg. Join Worky or Login to Join the Discussion.